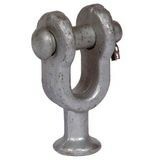 Ball Clevis | Tallman Equipment Co., Inc. The DN14 is a galvanized standard ball clevis with a removable pin. 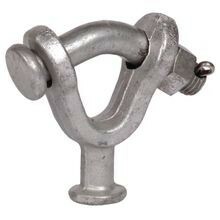 The pin is retained in the clevis body with a humpback cotter pin. 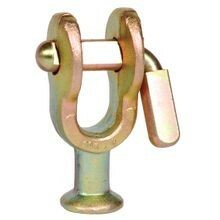 Fits ball sockets with an ultimate rating of 30,000 lbs. and under. Replacement Pin (includes cotter pin) P/N DN14-Pin. Replacement Humpback Cotter Pin P/N DN1415.